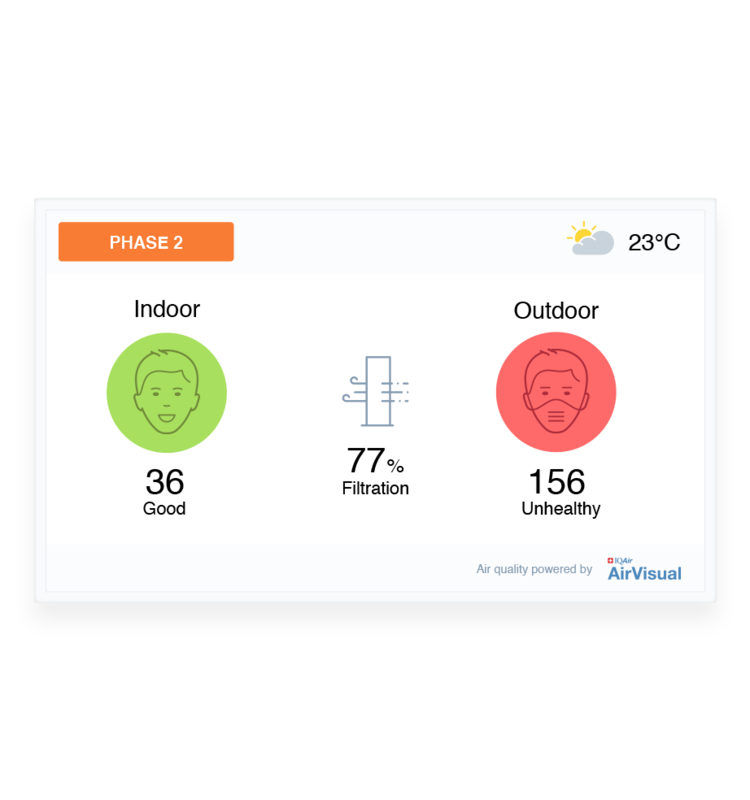 Poor indoor air quality affects productivity, lowers morale and results in sicknesses and absences. Concerns for air pollution can impact diplomatic staff's willingness to relocate. Demonstrating clean indoor air contributes to staff peace of mind and satisfaction. Manual air quality measurements required to ensure government safety standards are met, can be time consuming and is an inefficient use of staffers time. Clean air provides relocated staff with peace of mind, and achieves consistency across diplomatic locations. 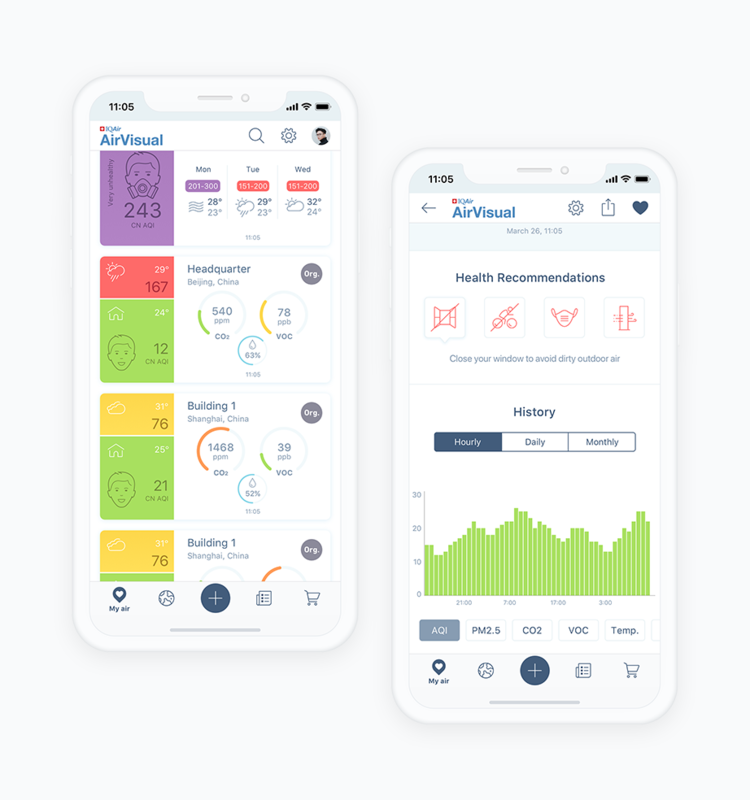 Transparent air quality readings provided on building TV monitors, Embassy webpages, and the AirVisual app, reassure relocating staff and increase the appeal of foreign offices. 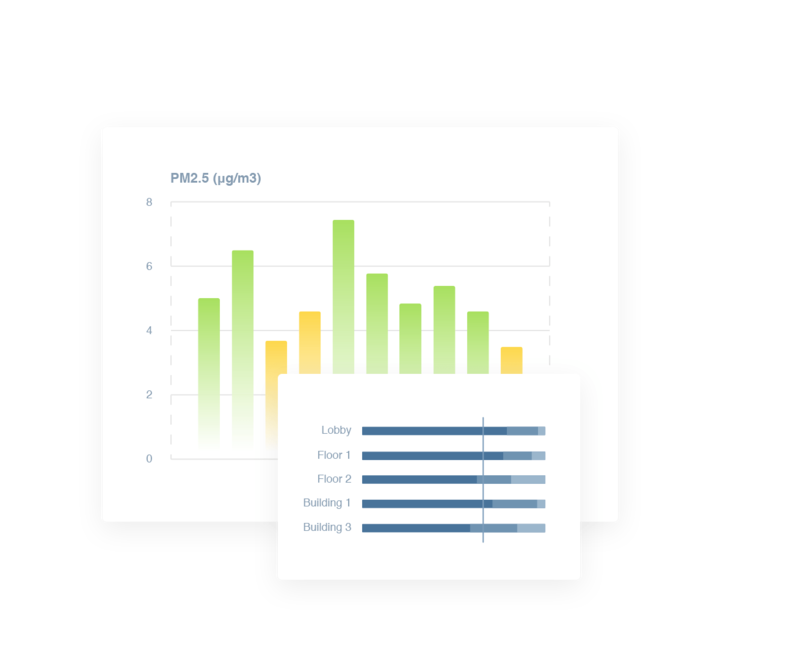 Download historical data and air quality reports to check the efficiency of current HVAC or filtration systems, and identify problem areas that can be improved. Use these to guide improvements and support budget requests. 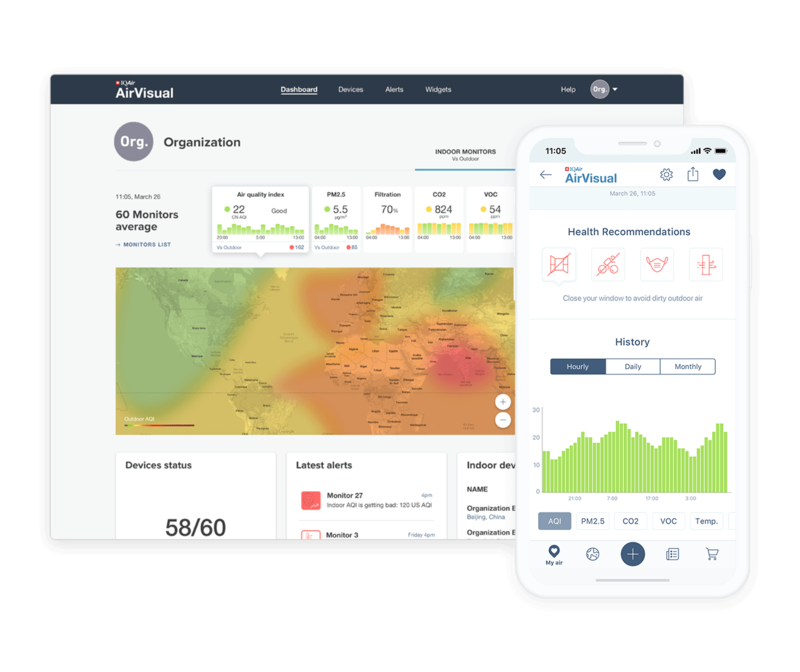 Manage air quality and safety protocol easily, with AirVisual's centralized dashboard displaying PM2.5, CO2, temperature and humidity in one place. 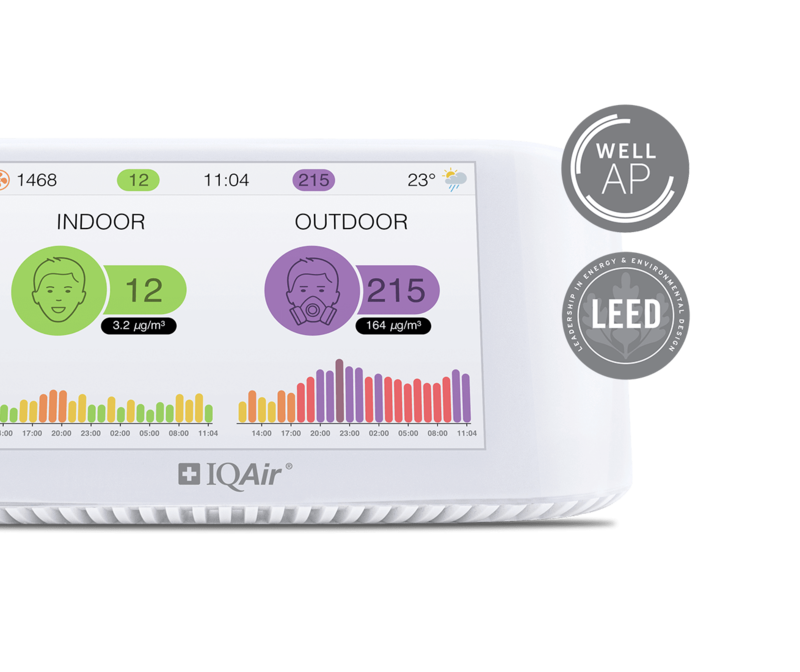 Respond quickly to changes in air quality using the system's alert system, and real-time data display.